... and after reading several reviews on the various Google Reader replacements (i.e, Flipboard, NewsBlue, Google Currents, Pulse, I decided Feedly would work better for me. Connecting to Twitter, Facebook, Youtube. I am still fiddling around with Feedly, and so far enjoying the snazziness of it all. I just found two more tutorials about Feedly, and am getting ready to do some more exploring! I will share on my blog. Thank you for sharing Sheila. I'm trying to decide between Feedly and Bloglovin'. You and Mary are the best! Hi Ladies, thanks for chiming in. Honestly I didn't know about Google Reader's demise unti Erica B posted about it. Then went on a hunt for a replacement. Sheila, I am waiting for everyone to check various readers out so I can decide. It seems that quite a number of folks are leaning towards Feedly. Thanks for giving us your input. Hi Savannah and Rocko. RIP Google Reader. Finding a new feed provider is kinda like shopping for a car. Me too. It was an easy enough transition to feedly. So far, so good! When is Google Reader going away? What have you been up to lately? Just wanted to let you know you've been missed. Hi Tanya and Thanks for checking in. 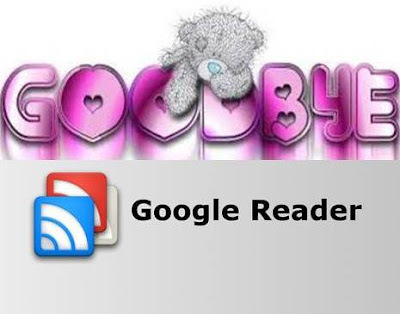 Google Reader is to end in July. I have been in the mist of doing some minor home redecorating. As for sewing finally finished two projects for friends and now that's out of the way, ready to do a lil sewing for myself. Sheila, I guess I'm the lost one...I don't know anything about Google reader and don't believe I ever used it. I sound silly to some, but I check my favorite bloggers by checking there updates on my own blog. I may take a look at this Feedly, to see what I have been missing. Thanks for the tip! I'm working with Feedly myself. I also downloaded Bloglovin but I haven't tried it yet. My one question though is this, when google reader closes does this mean Feedly has transferred all your blogs to it's site or is it just reading from the google site. I'm not so sure its a transfer. KWIM? If I understood it, once Google retires, and you have upload your favorite blogs via feedly, it will retain all of them after good reader is retired. Hi Shelia, I was thinking about you recently and realized that you haven't posted in a while. I hope everything is okay.